miniature compressed air powered F1 cars. together for the work on the project. 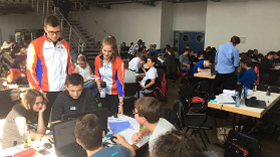 We aim to use the fascination with the "big" Formula 1 and the world-wide presence to create an exciting and thrilling learning experience for young people to improve their understanding and insight in product development, technology, and science and show them careers in technical jobs. 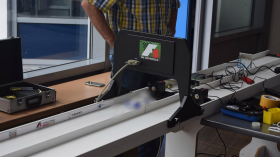 In regional championships and a German Championship teams are competing with gas-cartridge driven race cars on a 20 m race track. 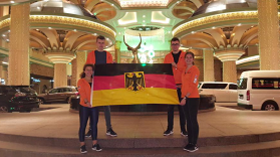 The winning team represents Germany in the World Championships of "F1 in Schools" that take place every year prior to a Formula 1 Grand Prix. In addition to the design of the car and the driving time, the evaluation also includes a presentation, a portfolio and a pit display. Celerity.team is a small group with complementary skills. Our abilities complement each other and together we take the responsibility for achieving our objectives. 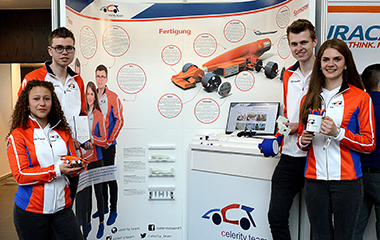 All team members of the celerity.team participate for the first time in the "Formula 1 at school" competition. We regard ourselves as equitable, humanly and professionally fully accepted partners..
We communicate honestly, openly and fairly. We always have the agreed objective and the personal task in mind in order to achieve the result as quickly and well as possible. We accept every problem and find a solution target-oriented and fair. We bring in our full performance and always feel responsible for the team and carry out all decisions outwardly in solidarity. Criticism is always understood as an opportunity for improvement. We always criticize criticism constructively and do not regard it as a personal attack. The corporate identity should stand out from the other teams. Therefore, both a striking color scheme and a modern appearance have been implemented. It was important that, in addition to the recognition value, the practical benefits were guaranteed. Our name "celerity.team" means speed. The first letter "c" stands for speed of light in physics. 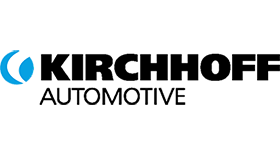 The dot that connects the two words represents our team spirit. We can reach our goals only when we work together as a team. 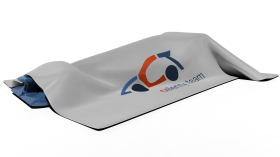 Our logo displays a racing car in which we use the "c" from our team name as well as the "T" as rear wing. For us the most important aspect in creating our logo was to have a logo with a distinctive design. To represent our team philosophy we used the concept of a tag cloud. Here the different type sizes show the importance of the tag. 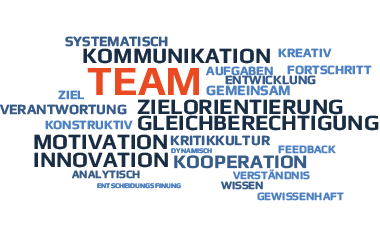 Therefore we have chosen words that represent our well-structured team best. 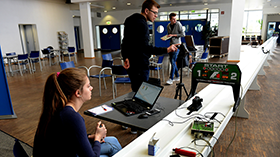 Formula 1 is a multi-disciplinary and international technology challenge, in which students design, manufacture and then race miniature compressed air powered F1 cars. In addition to the design of the car and the driving time, the evaluation also includes a presentation, a portfolio and a pit display. The car is designed according to a technical rule. 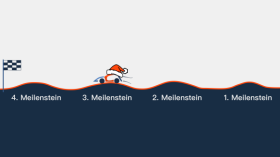 The vehicle speed as well as the reaction time at the start are included in the overall evaluation. The portfolio consists of 20 pages in DIN A3 format. The portfolio primarily focuses on project management and the development process. Other further important elements of the portfolio are sponsorship and corporate identity. During a championship the focus of the pit display will be on the external presentation and car production. An additional interview by the jury is included in the evaluation. 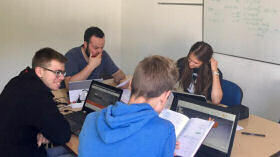 Everything started with a session at SIHK in Hagen (Germany) that combined both an introduction as well as a first training. We meet there at the first time and it was not clear to us that this was the beginning of our common road to Malaysia. As from the beginning we knew that this is the first and the last time we are able to participate at the project. Therefore we had the participation in the German Championship as a common target in mind. On February 4, 2017, we took part at the South-West Qualifying that was well organized by the SIHK. 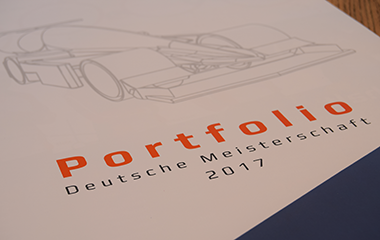 Because the qualifying was a preselection of the teams from South Westphalia, the pit display and the portfolio had to be available only in digital form. 14 teams competed against each other and were evaluated by an independent jury. 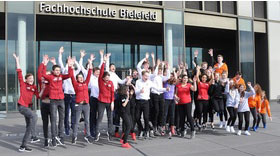 On 4 March 2017, the national championship took place in Bielefeld. 17 teams fought for the title of the regional champion. At the regional championship, we also had to present the pit display and the printed portfolio for the first time. We have incorporated the knowledge gained from qualifying into our car design as well as in our presentation. 15 teams from all over Germany fought for the title of the German champion on May 13, 2017 in the Audiforum Neckarsulm. 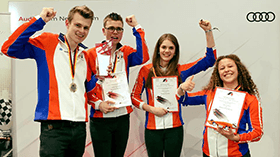 The "celerity.team" took first place at the German Championships. The racing car was completely redesigned for the German championship. In addition, we have completely redesigned the portfolio - perhaps a reason for the price of the best portfolio. 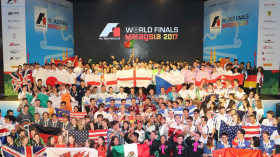 51 teams from 26 nations, more than ever before, have competed in Kuala Lumpur to take home the World Cup. After judging the eight races, we were ranked nineteen and were able to make up a few places with other competition elements. We've been nominated for the Best Website Award. We didn't win a prize, but more experience than we ever thought. We are proud of what we achieved! 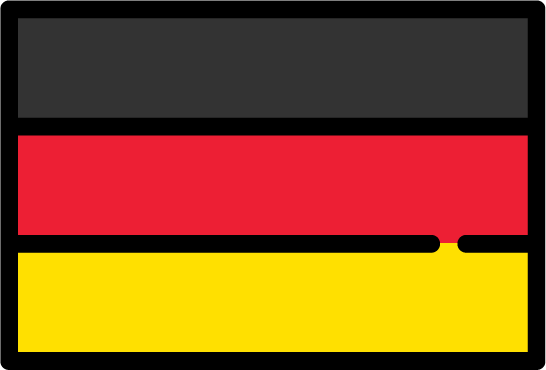 Yesterday at the German Championship, we qualified for the 2017 World Cup in Malaysia! We also secured the prize for the best construction and the best portfolio. 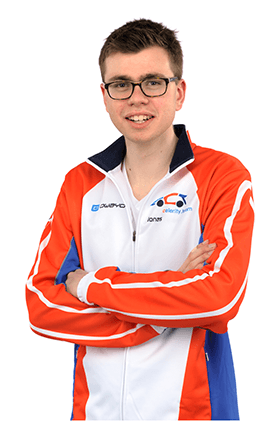 We would like to thank all the sponsors who have supported us so far and are now on our way to the World Championship together with us! Not the winner but more experiences than we ever thought. 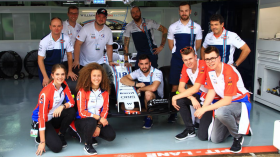 Thank you to Jakob Andreasen (Chief Operations and Performance Engineer) from Williams Martini Racing for the invitation. It was very impressive to see the Sepang Circuit and the garage of Team Williams up close. Four days of tension are now behind us. Assembly of the team box, presentations, interviews and of course the races were very challenging. 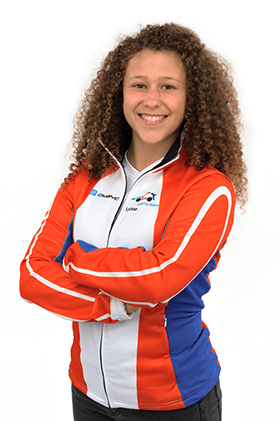 In a very strong, international field of participants we were able to reach the 15th place. We were able to win the first race in the knock-out competition with confidence. In the second round we met the German-Australian collaboration team Aurora partly "old friends" from previous competitions in Germany. It wasn't until the third round that Aurora won the race - with a lead of 19/100 seconds. Physics couldn't be fooled. Therefore, unfortunately, we were unable to improve our racing time today. But we were very pleased about Mr.Schlüter's visit to Malaysia and that we were able to show him our work. Today we had our first race against a team from the Emirates. This went well for us even if the race times did not meet our expectations from the preperation runs. We hope that we will be able to repeat the top times of the preperation runs on the next race day. We have covered 10,000 kilometres in the last few hours and arrived today in Malaysia at the Sunway Pyramid Hotel. Tomorrow we'll have to register and we'll get used to the climate and the time difference before the World Cup starts. A few hours before our departure for the World Cup in Malaysia, we were once again mentioned in the daily press. Once again we have reached an important intermediate goal for the World Cup. 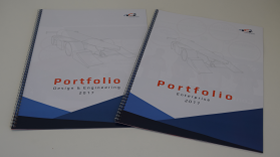 The two documents describing the development and production of our racing car as well as our team, marketing, project management and cooperations were sent out just in time. With 3,000 guests and a colourful supporting programme, the family day of our premium partner TRILUX took place today. 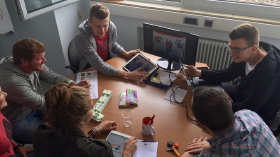 There we could introduce ourselves and the project in a relaxed atmosphere to all visitors who were interested. In more than 300 cases the start button was pressed. And then color comes into play! Today we supported the SIHK in the implementation of the technology academy. 13 new teams could qualify for the starting season this weekend. 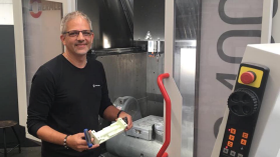 Once again, the milling machine in the toolmaking department of TRILUX is under strain. 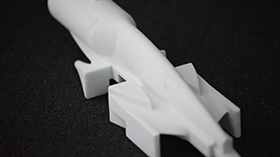 With incredible precision of 1/100mm, our chassis is created out of an inconspicuous model block. 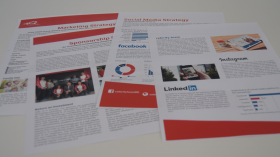 Just in time the presentation of our our marketing and social media strategy was submitted to the jury. As always, we have used a lot of meaningful images and graphics to make our marketing strategy clear and comprehensible. We are very excited about the results! Yesterday we started our test races. 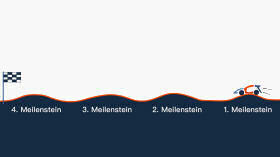 By carefully testing some components, we gained alot of meaningfull data. Based on this results we identified the best combination. Today we had the opportunity to equip the shell of our teambox for Malaysia with our premium partner Schlüter Systems. Small but powerful! This is how you can describe the ball bearings we have received today. 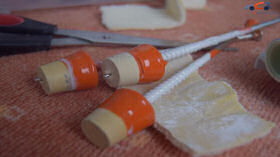 To determine the ideal bearing, we have implemented a test set-up. 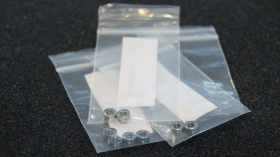 we promise important insights into the performance of the bearings. Today we worked on the design of our pit display. The new dimensions of the pit display offers some more possibilities comparing to the previous championships. We welcomed two guest from the US. Thus we directly trained our English skills. Thanks to Barnaby and Michelle Wyse. On Wednesday, we were able to present our team at the SIHK full meeting. 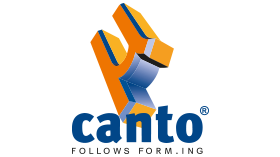 We're really glad that we can say that Canto supports us still on our way to the world championship! 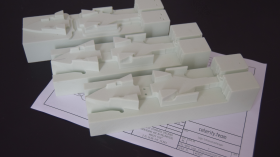 As with previous Championships, Canto will create all of our laser-sintered plastic parts. We have just picked up our pen supply! A big thank you to XMEDIAPRINT! Kirchhoff supports us on our way to the World Cup again with financial resources. Many Thanks! 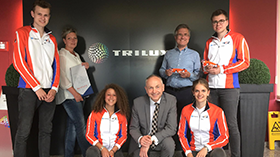 Yesterday we had a successful sponsoring appointment with Trilux from Arnsberg-Neheim. We are looking forward to a good cooperation! 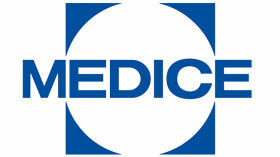 MEDICE supports us financially on the way to the world championship. Schlüter Systems becomes Premium Partner! 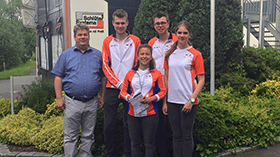 Today we had another successful meeting with Mr. Schlüter, who will give us active support throughout the next weeks and will help us with the next steps till we have the world championship! 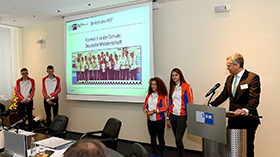 The air vibrated with excitement when the German Champion of “Formula 1 in schools” was honored. 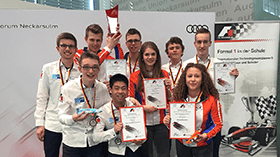 The "celerity.team" took first place at the German Championships. Tears of joy In Neckarsulm in the afternoon. 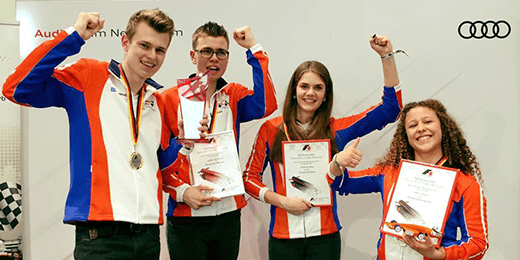 The "celerity.team" took first place at the German Championships. 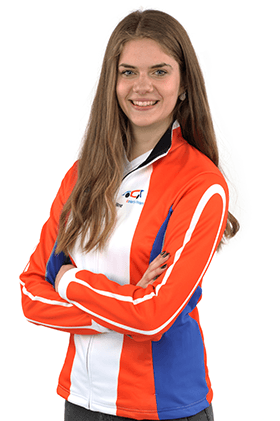 New team clothes and new team pictures! This weekend we got our new team clothes. 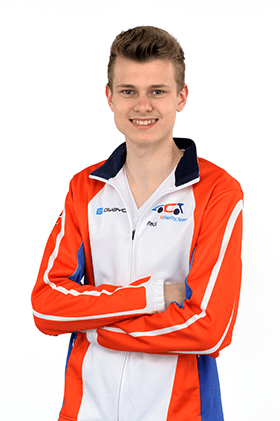 So it went directly to our new sponsor Fotostudio Dahlhaus and we have made the new team photos! Today we brought our milled chassis to our new sponsor RKR. RKR supports us by coating our car. Last week we were able to mill the chassis for our new cars. 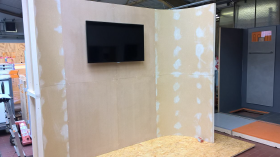 We would like to thank TRILUX, which made this possible in the usual precision! On Saturday we did some test races with different attachment parts. The obtained results gave us important insights for the right choice of the attachment parts for our final car. 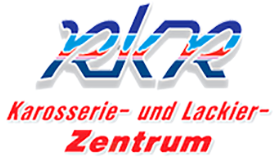 KIRCHHOFF is now main sponsor! KIRCHHOFF supported us with additional financial resources! Many Thanks! Today the newspaper IKZ published a large article about celrity.team. 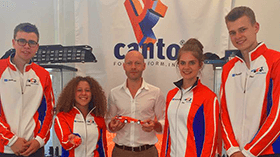 We visited our sponsor canto and talked about further cooperation. 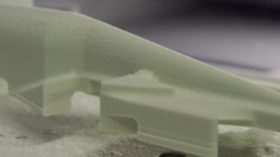 Canto supports us by producing of prototypes and our attachments of the chassis. 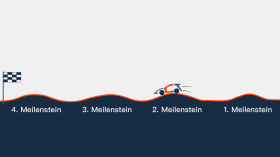 Time to mill our cars for the German championship. It's time! The video of the NRW Championship is here! 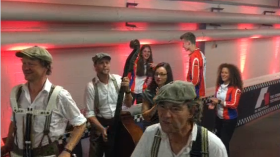 The team from the Märkische Gymnasium Iserlohn enjoyed great joy. They are now allowed to travel to Neckarsulm for the German Championship. 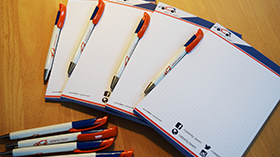 Pens and blocks have arrived! 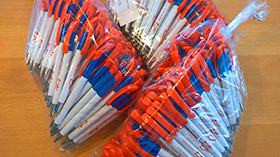 Just in time for the NRW championship, our pens and blocks have arrived! 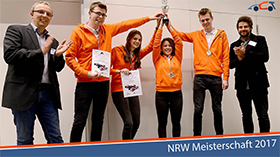 In the South-West qualifying session, we received no less than three awards today and can participate in the NRW Championship on 3 March 2017 in Bielefeld! 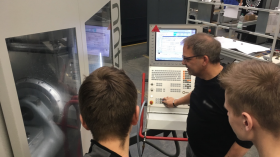 Today we were able to gain first insights into 5-axis milling! 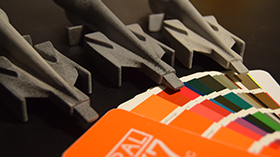 We are pleased that we have found the company TRILUX that will implement our chassis in high quality. Today we have milled our first chassis at the SIHK. We would like to thank the SIHK for the support! Today, we were trying to mill our chassis for the first time at the SIHK. Unfortunately we had problems with the milling program and could not finish our work. 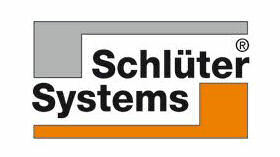 The sponsor talks have gone well and we are looking forward to cooperating with Schlüter Systems from now on! Our business cards are here! 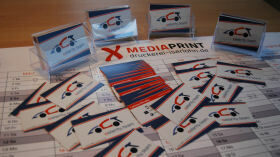 Thanks to Mediaprint, we can now leave our contact details directly on the spot! Today we had a successful Sponsoring appointment with KIRCHHOFF Automotive and we thank Mrs. Boehle for her time for us. The third milestone is completed. We had to deliver content on the production process of the car, the team box and the cooperation with our sponsors. 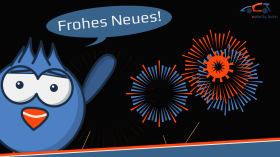 Today we worked on the construction, planned the next milestone and the next sponsor appointments and fixed the last points for the newsletter. Secound milestone sent - wait for the results! At the second milestone, we had to expand our portfolio by 5 to 10 pages. The focus this time was on the development of the car, the pit stop and the cooperation with our sponsors. Today we looked over the production stage, did some last fine-tuning before the second milestone and strengthened our team spirit. 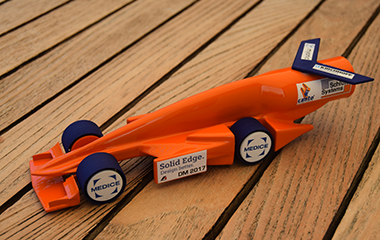 We would also like to thank Dr. Pütter for his time and support, as well as the cooperation with MEDICE, who are supporting us as a major sponsor. We are delighted to work with Canto and thank Mr. Tschorn for his time and his new ideas. We have successfully completed the first milestone and received a good feedback from our mentor! After many hours of simulation and engeneering, we finished the first design of our car. Next step, fundamentals for the first milestone and the next sponsor-appointment got discussed. With the beginning of the season, we are able to launch our logo! In addition to the team colors, the initial letters of our team name (C.T) are also taken into account. 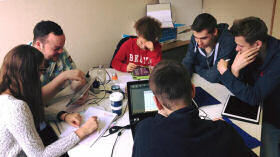 At the end of the technical academy at the SIHK, we successfully mastered the first team challenge. 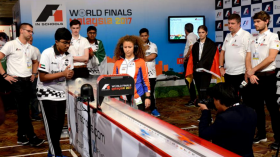 Formula 1 at school gives us the opportunity to actively engage with the topics of technology and teamwork outside school. In order to reach this ambitious target we need your support. 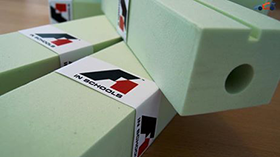 We want to develop this knowledge supported by industrial companies. 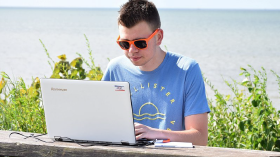 Science and technology have a high influence on everyday life. Wealth of our society is based considerably on the know-how of our engineers. This knowledge is the only commodity which Germany owns. 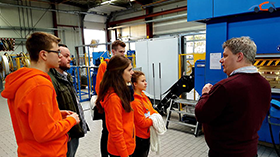 Only through constant contact of our talented juniors with technology in school and beyond we can preserve our innovation power and guarantee Germany's technical position long term. The monetary value of the sponsor is determined for the classification. In the case of sponsors who are only financially involved, this sponsored amount is used for the classification. In the case of sponsors who support us in addition to financial resources including services or material values, the value of the service or the asset is used for categorization. 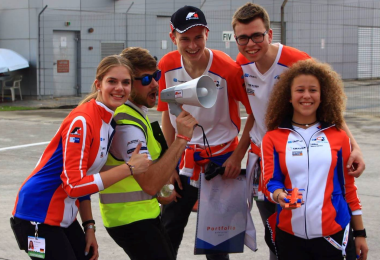 Would you like to become a technical advisor or sponsor of our team?